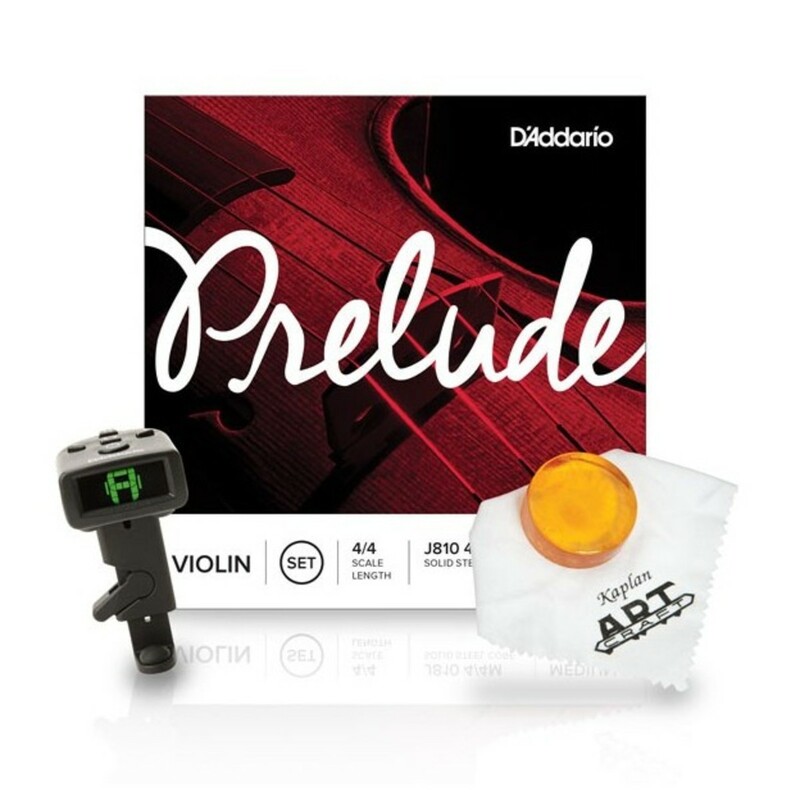 The D'Addario Prelude Violin String Promotion Pack includes Kaplan artcraft rosin, NS micro violin tuner and a D'Addario prelude string set. The 4/4 strings are manufactured using solid steel cores and have a playing length of thirteen inches. Unaffected by temperature and humidity changes, these strings produce a consistent, reliable sound, and are capable of holding their tune for long periods of time. Excellent bow response and warm sounds are just two of the qualities the strings hold. This pack is suitable for student players and avid musicians alike, and is capable of suiting a wide range of backgrounds, including classical, folk, country and bluegrass. The rosin applies easily with little dust, while the tuner attaches directly to the body of the instrument. All D'Addario strings and rosin are designed, engineered and manufactured in the USA to the most stringent quality controls in the industry. Unaffected by temperature and humidity changes, these strings produce a consistent, reliable sound, and are capable of holding their tune for long periods of time. 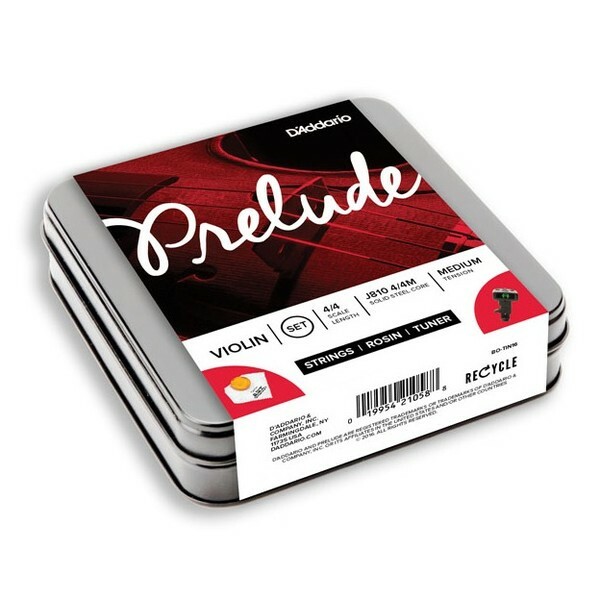 The solid steel core delivers a rich, warm tone suitable for a range of genres and playing styles - in fact, the Prelude strings are often referred to as being the warmest and best sounding student strings available. The strings are scaled to fit a 4/4 size violin with a playing length of 13 inches, and are packaged in special sealed pouches to protect them from any corrosion before they arrive. 'Designed, Engineered and Manufactured in the USA to the Most Stringent Quality Controls in the Industry'.